At the start of the nineteenth century, the most common form of schooling took place in the houses of the well-to-do - governnesses would be paid to come in to tutor the children of the family. The nineteenth century saw something of a revolution in education in which more and more schools were set up to educate those people from families which couldnt afford to pay for it, national schools being one of those schools set up for children from poor families. National schools were not the only form of school common in the nineteenth century, they were not even the only free school. Many different school types were set up by a variety of different organisations. Lancasterian schools were the brainchild of Joseph Lancaster, a quaker. His idea for schooling was that chidren would be rewarded for passing what they had learnt on to other children and the very early nineteenth century saw the estanlishment of The Society for Promoting the Lancasterian System for the Education of the Poor. However, the schools were criticised for strange and harsh discipline techniques and the society was renamed the British and Foreign School Society and distanced itself from Joseph Lancaster. 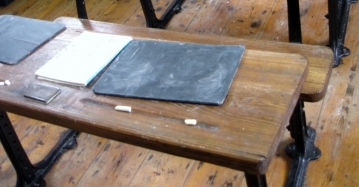 For a time the schools run and set up by the British and Foreign School Society for the Education of the Labouring and Manufacturing Classes of Society of Every Religious Persuasion followed the Lancasterian idea of pupils to teach their fellow pupils (termed the monotorial method). British Schools were free for pupils to attend.In many places, British Schools were offered as an alternative to CofE National Schools. The British and Foreign School Society still exists and funds education projects. Ragged schools took their name from the state of the clothes of the children who attended. Ragged schools were set up by philanthropists or charitable organisations in poor areas of towns and cities to educate poor children. Unlike, say the national schools, ragged schools would not usually be held in new purpose-built buildings, but in ordinary houses. 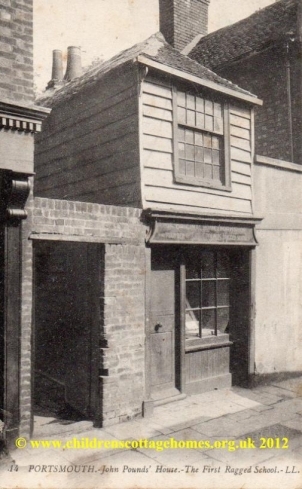 This small house in Portsmouth housed what is thought of as the first ragged school, set up by John Pound. He first started teaching poor children in the area in 1818. Dr Barnardo opened his first ragged school in 1867. 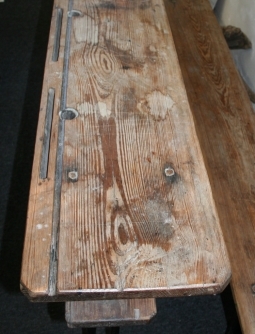 A museum (set up in early Barnardos buildings) tells the story of the ragged schools. Unlike the schools listed above, the reformatory school or reform school was a residential institution. Children who had been found guilty of crimes were sent to reform schools by the courts as punishment for their crime. They were set up in the nineteenth century as an alternative to children being sent to adult jails. More on this wenbsite on reform schools here. Similarly, industrial schools were also set up as residential institutions in the nineteenth century. They were initially, however, for children who were in a different situation to those being sent to reform schools. The industrial schools were meant for children who had not been convicted of a crime but who were thought might be heading for criminality. By the end of the end of the nineteenth century the role of reform schools and industrial schools had merged to such an extent that it ws hard to tell the difference between them. In 1933, both types of institution became known as approved schools and children were sent there from the courts. More on industrial schools on this website here.